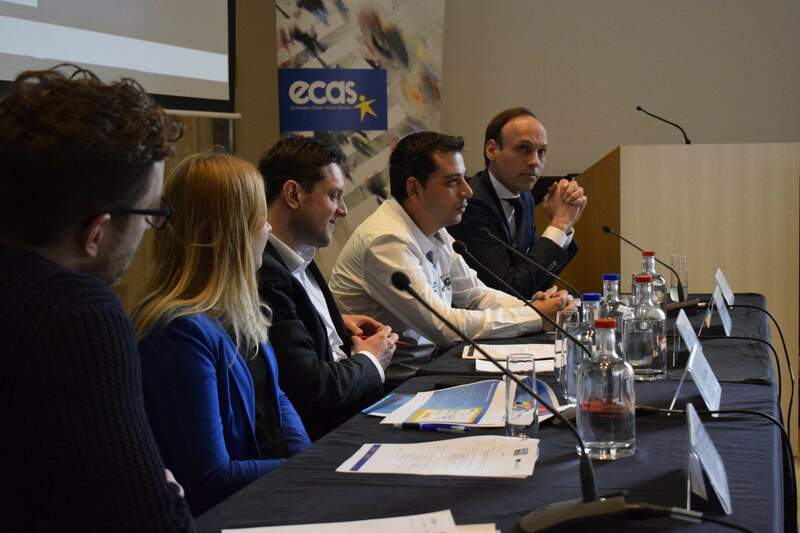 At a public conference at the European Parliament on 15 April, at which ECAS was present, Transparency International presented its recently issued report “Lobbying in Europe: Hidden influence, privileged access”. Interest representation is an important part of a healthy democracy, as the report acknowledges, allowing stakeholders to present their views on public decisions that may come to affect them. However, the rules on this subject are lax in Europe compared to other countries like the US. This makes it easy for powerful businesses and other interest groups with key contacts in cities like Brussels, Rome or Berlin to influence politicians and the law making-process in a way that is beneficial for them. Brussels is well-known as one of the main hubs for lobbying in the world. 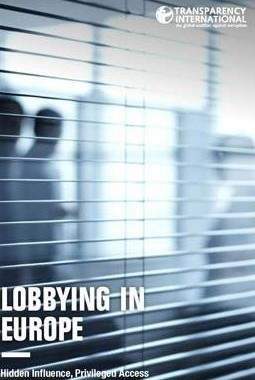 According to a policy paper by Transparency International “Lifting the lid on lobbying”, the number of lobbyists in the city, whose job is to influence regulations and laws that shape Europe´s single market, range from 15,000 to 30,000. EU-level lobbying happens at all stages of the legislative process. 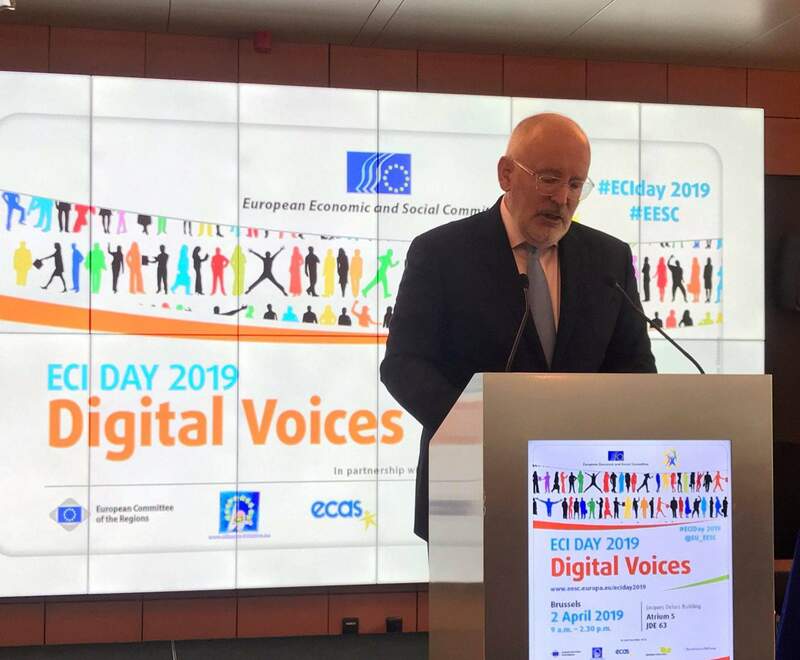 It extends from the early stages of policy development, to the moment the European Commission considers putting forward a new piece of legislation. It continues throughout the public consultation and impact assessment phase, and during the readings by the European Parliament and the Council of Ministers. In many cases the presence of interest groups can enhance the quality of decision-making, as it provides a space for those with expertise in a specific policy field to share that knowledge with decision-makers, who often know little about the technical issues and specificities. However, this presence may turn into “undue influence” when decision-making is opaque, when public officials and/or lobbyist act unethically, and when access to public decision-making is skewed in favour of select interests. According to the Transparency International report, EU institutions are not exempt from these risks; quite the contrary. In recent years, efforts have been made to enhance the transparency of the decision-making process in the EU, with the launch for instance of a so far voluntary EU Transparency Register for lobbies with close to 8,500 registrants to date. But the truth is that the EU institutions perform rather poorly when assessed against international standards and emerging best practice in this area. Indeed, the three core EU institutions obtain an average score of 36% on the quality of existing lobbying regulation, as measured by transparency, integrity and equality of access criteria. The Council achieves the worst results with a meagre 19%. 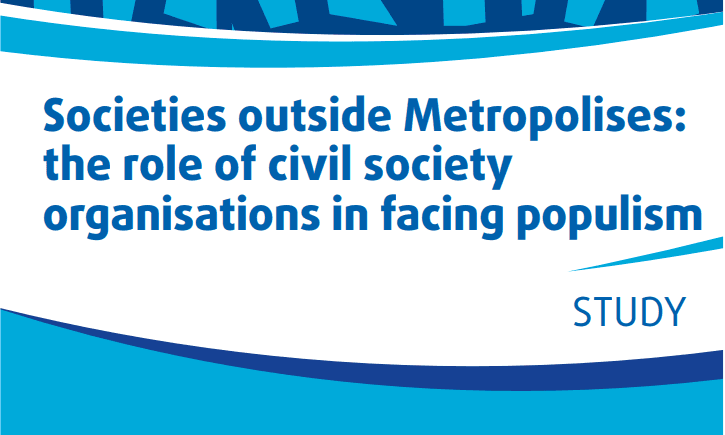 To counter these poor results and ensure that lobbying does not translate into corruption, the Transparency International report puts forward a number of key recommendations. The establishment of minimum “cooling-off” periods before former public officials and elected officials can work in lobbying positions that may create conflicts of interest.